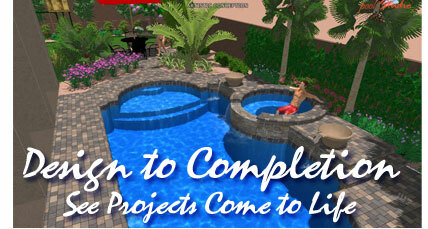 At Laguna, we understand the importance of a well planned outdoor living design. It begins with the initial site visit where we take the time to get to know our clients, their individual needs and personal preferences. Besides taking accurate measurements and photographs, our designers pay attention to the direction of the sun and prevailing wind, views to obscure or enhance, the architecture of the home and the lifestyle of its inhabitants just to name a few. Whether you envision an outdoor kitchen and entertainment area to host dinner parties or enrich family life, or a secluded private retreat to relax, unwind and restore piece of mind, the experts at Laguna can create the ideal design to expand your living space into the open air. 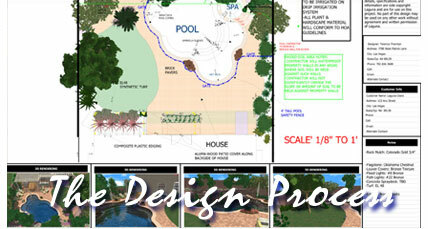 The design professionals at Laguna utilize state of the art technology to take your dreams and bring them to life. Advanced computer software allows the client to see the design concepts and creative ideas in a dynamic 3D presentation. 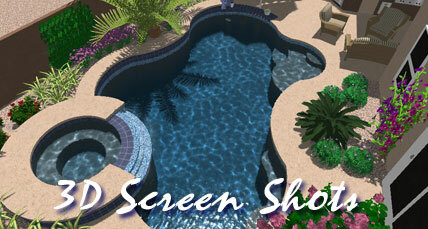 Imagine taking a virtual walk around your new pool, spa and landscape before ever breaking ground. See the view through windows of the house or change the setting to night time for a total perspective of how your new living space could look. An advantage to those who live out of town or have a second home, the 3D program gives the client a virtual tour of the property without physically being there.